Barcelona won 3-0 to knock Manchester United out of Champions League. 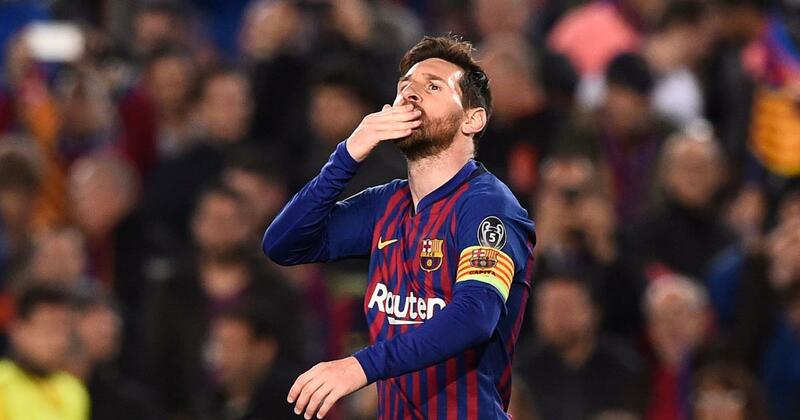 Lionel Messi said Barcelona put on a spectacle in their victory over Manchester United on Tuesday, but warned his teammates they cannot afford any more slow starts if they are to win the competition. Messi capitalised on early mistakes from Ashley Young and David de Gea to score twice at Camp Nou before Philippe Coutinho added a third for a 3-0 win, 4-0 on aggregate. But United had made a brilliant start before Messi intervened, as Marcus Rashford hit the crossbar within 30 seconds and Scott McTominay fluffed another chance with a poor touch. “We have shown who we are, we put on a spectacle and played a great game,” said Messi after the match. “But we came out cold and looked nervous in the first five minutes. It was a bit weird until we regained control of the game and we scored the first goal. Barcelona go through to the semi-finals for the first time in four years, where they await the winners of Liverpool and Porto, who play on Wednesday. Liverpool carry a 2-0 lead from the first leg at Anfield.